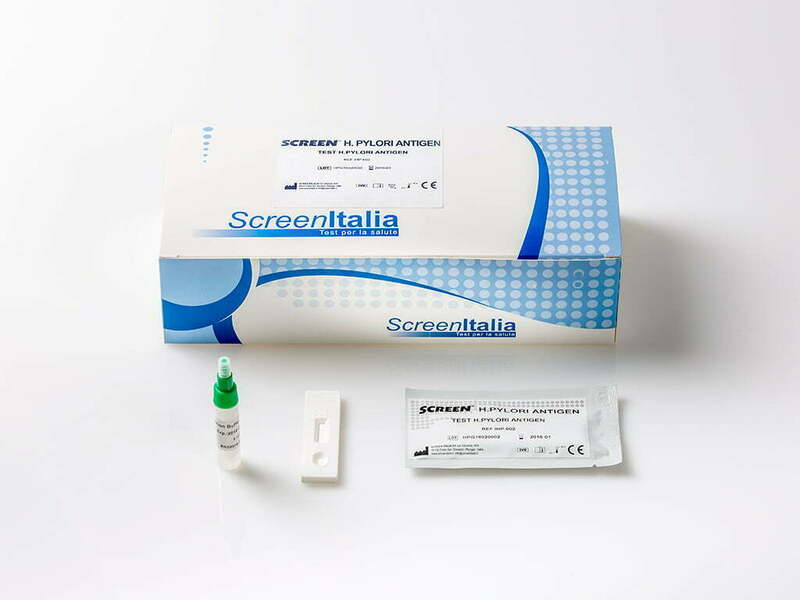 A rapid test for the qualitative detection of antibodies to Helicobacter pylori(H.pylori) in whole blood,serum or plasma. For professional in vitro diagnostic use only. The H. pylori Antibody Rapid Test Cassette (Whole Blood/Serum/Plasma) is a rapid chromatographic immunoassay for the qualitative detection of antibodies to H. pylori in whole blood, serum, or plasma to aid in the diagnosis of H. pylori infection. H.pylori is a small, spiral-shaped bacterium that lives in the surface of the stomach and duodenum. It is implicated in the etiology of a variety of gastrointestinal diseases, including duodenal and gastric ulcer, non-ulcer dyspepsia and active and chronic gastritis.1,2 Both invasive and non-invasive methods are used to diagnose H. pylori infection in patients with symptoms of gastrointestinal disease. Specimen dependent and costly invasive diagnostic methods include gastric or duodenal biopsy followed by urease testing (presumptive), culture, and/or histologic staining.3 Non-invasive techniques include the urea breath test, which requires expensive laboratory equipment and moderate radiation exposure, and serological methods.4,5 Individuals infected with H. pylori develop antibodies which correlate strongly with histologically confirmed H. pylori infection.6,7,8 The H. pylori Antibody Rapid Test Cassette (Whole Blood/Serum/Plasma) is a simple test that utilizes a combination of H. Pylori antigen coated particles and anti-human IgG to qualitatively and selectively detect H. pylori antibodies in whole blood, serum, or plasma. A rapid test for the qualitative detection of Helicobacter pylori (H.pylori) antigens in human feces. For professional in vitro diagnostic use only. The H.pylori Antigen Rapid Test Cassette (Feces) is a rapid chromatographic immunoassay for the qualitative detection of H.pylori antigens in human feces specimens to aid in the diagnosis of H.pylori infection. H.pylori is a small, spiral-shaped bacterium that lives in the surface of the stomach and duodenum. It is implicated in the etiology of a variety of gastrointestinal diseases, including duodenal and gastric ulcer, non-ulcer dyspepsia and active and chronic gastritis. Both invasive and non-invasive methods are used to diagnose H.pylori infection in patients with symptoms of gastrointestinal disease. Specimen-dependent and costly invasive diagnostic methods include gastric or duodenal biopsy followed by urease testing (presumptive), culture, and/or histologic staining. A very common approach to the diagnosis of H.pylori infection is the serological identification of specific antibodies in infected patients. 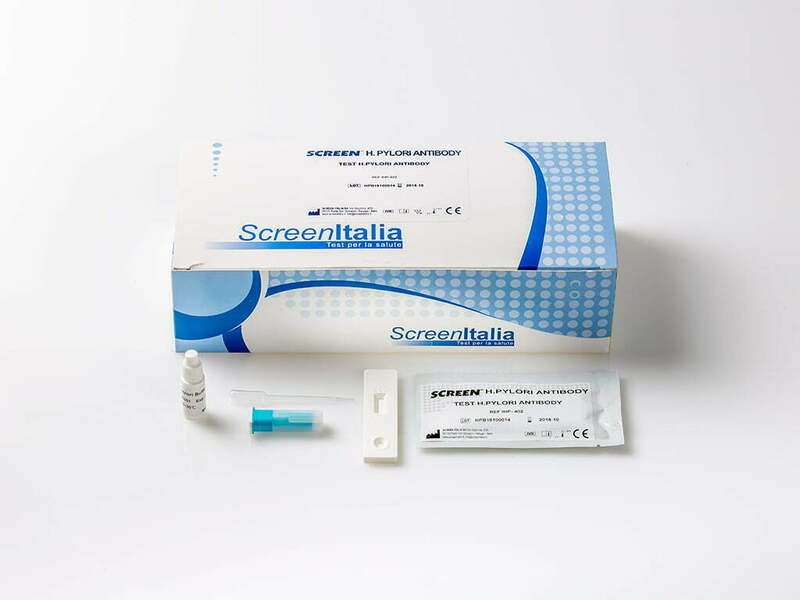 The main limitation of serology test is the inability to distinguish current and past infections. Antibody may be present in the patient’s serum long after eradication of the organisms. HpSA (H. pylori Stool Antigen) testing is gaining popularity for diagnosis of H. pylori infection and also for monitoring the efficacy of the treatment of H. pylori infection. Studies have found that more than 90% of patients with duodenal ulcer and 80% of patients with gastric ulcer are infected with H.pylori. The H.pylori Antigen Rapid Test Cassette (Feces) is a rapid chromatographic immunoassay for the qualitative detection of H.pylori antigens in human feces specimens, providing results in 10 minutes. The test utilizes antibodies specific for H. pylori antigens to selectively detect H.pylori antigens in human feces specimens.